If your objective is to give your listener, viewer, or customer the best impression possible with your audio presentation, we’re here to help. 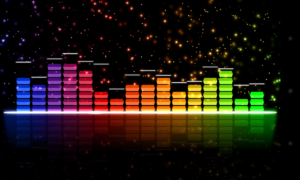 We have an Audio Department that specializes in audio editing and enhancing. We’ve done editing and enhancing of podcasts for some of the largest companies in the world such as BANG Showbiz, Cover Media, KRO (The Netherlands), so on. There’s nothing basic about our service. It’s thorough. That’s why we encourage you to listen to the work we’ve done (many of our competitors don’t have sample audio available for you to hear). You can find cheaper audio editing, but you won’t find better. We eliminate or reduce verbal flubs and noise such as hiss, hum, plosives (popped P’s), sibilance (distorted S’s), mouth and breath noise, wind, false starts, unwanted sections, repetitive words, long pauses, thumps, rumble, crackle, pops, sirens, animal noises, phone and computer sounds. We also adjust your volume levels and equalize the tonal balance of your recording. We even mix in your intro, outro, and sponsor messages you provide to us. The contemporary world is a small village thanks to the digitalization that makes possible to get many services from another country even though you sit behind your computer. Voice Over (VO) is one of the most popular services, which have no boundaries. Medyadam as a global company is the most reliable and efficient service to get high quality voice overs for ads, movies, videos, audio books, video games, commercials, e-learning presentations, and more. Choose us and work with any one of our voice actors from around the world who speak more than 55 languages and dialects.